We have featured a number of different gadget chargers here at Geeky Gadgets, the latest one is just a concept put it seems like a cool idea, and basically it is designed yo charge you gadgets whilst traveling. 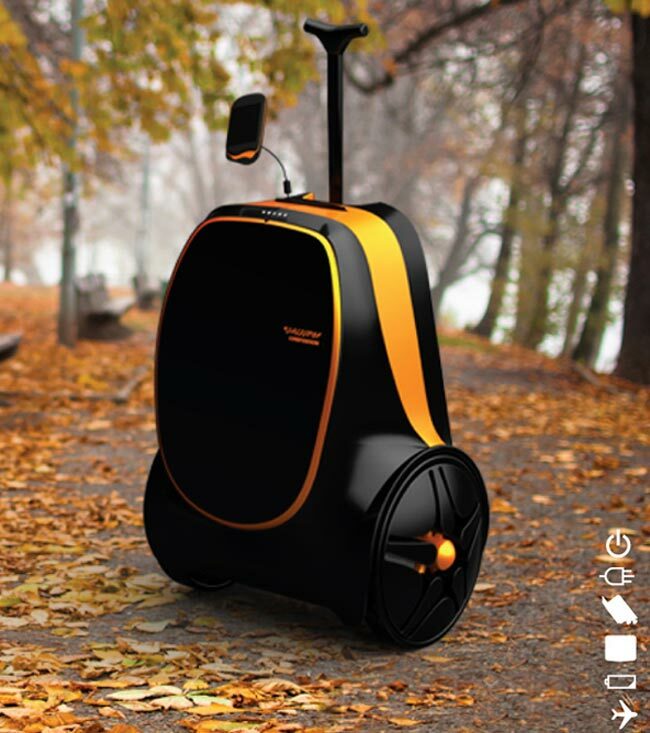 The Rolling Suitcase concept from designer Jung Inyoung is designed to charge you various gadgets using Kinetic energy, when the you your suitcase along the ground, the wheels of the device along with some gears will generate and store kinetic energy. The energy can then be used to charge various gadgets and you can plug your gadgets into the portable battery within the device to charge them up, it certainly does seem like a cool idea. Whilst it seems like a great idea, it is just a concept at the moment, and there are no details on what sort of charge your devices would get from the suitcase, although I suppose that depends on how far you walk with it.